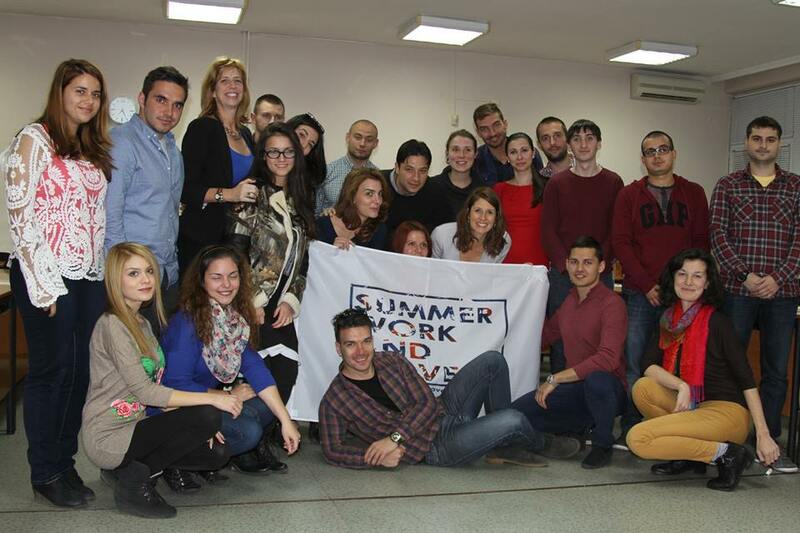 Summer Work and Travel Alumni Association has recognised entrepreneurship as a key priority of its work. Supporting SWT alumni with business ideas is part of our organisation’s mission. In the period 14-15 October the concluding event of the Summer Work and Travel Entrepreneurship took place in Bankya. Participants from the three editions of the SWT academy attended lectures with top entrepreneurs like Elvin Guri, CEO of Empower Capital Fund and the Swiss Start-up operating in Bulgaria Aryxe. They also had workshops for team work and soft skills with the psychologist and trainer Veselin Somlev and crisis management in PR and communications with the PR freelance expert Jana Milosheva. New opportunities and entrepreneurship programmes such as the Southwestern Advantage programme were also presented. The SWT alumni received certificates for successfully completing the Entrepreneurship academy. In the period 7-8 October 2017, the concluding event of the international Entrepreneurship, Creativity and Friendship Camp, which took place in Bankya, Bulgaria. 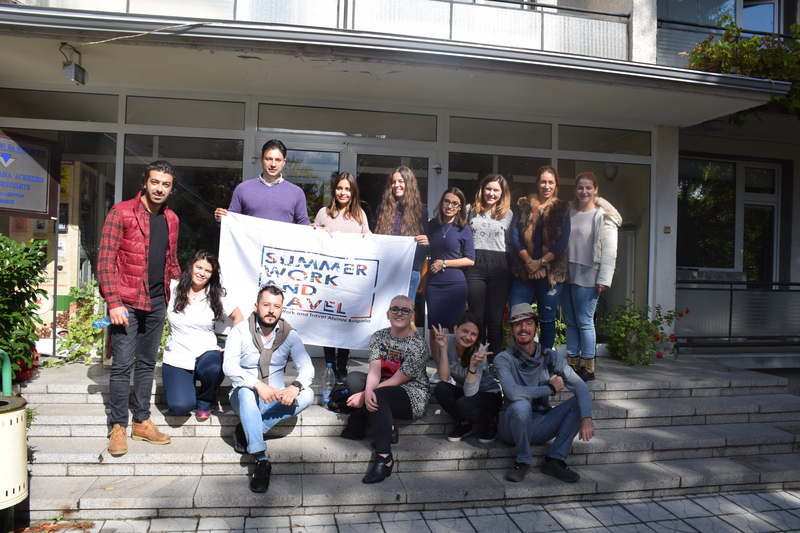 The event gathered together Summer Work and Travel Alumni from three countries in the region – Bulgaria, Serbia and Macedonia. The event was opened by Matthew Hangergruber, Cultural and Education Attache of the U.S. Embassy in Bulgaria. Participants met entrepreneurs with experience in Europe and beyond such as the CEO and co-founder of the Swiss start-up Aryxe, Stephan Muehlemann, as well as the Macedonian entrepreneur Blagoj Arizankov, developing successful start-up in India. SWT Alumni also participated in workshops for soft skills and communication in order to learn useful tips on how to look for co-founders and team members in their future business endeavours. A workshop for crisis management in PR and communications with the PR expert Jana Milosheva tested their knowledge and abilities to look for solutions to the challenges their business might come across. The final weekend of the project tracked the progress of the participants since the one-week intensive training in the summer. As a result, some of the participants shared that after the first training they had turned their business ideas into actions and some of them had made joint projects together after meeting at the Entrepreneurship, Creativity and Friendship Camp. The Project was a result of a fruitful partnership between three SWT alumni orgnisations – Summer Work and Travel Bulgaria, Summer Work and Travel Macedonia and SWT Iskustvo – Serbia, sponsored by the U.S. Department of State. In 2017 Summer Work and Travel Alumni Association trained approx. 50 Work and Travel Alumni, willing to establish their own business. Three weekends of lectures, workshops, discussions with start-up representatives, experts in the fields of marketing, PR, HR, funding and investors shared knowledge and experience with the young entrepreneurs. The academy was sponsored by the U.S. Embassy in Bulgaria. Summer Work and Travel Alumni Association initiated a pilot-project for an entrepreneurship academy for Work and Travel Alumni, who have business ideas and entrepreneurial spirit. 25 young people have participated in 5 trainings, to help them develop and kick-off their ideas. Several young and successful entrepreneurs from the academy launched their businesses in 2016 after attending the academy.